How do you determine if a diamond is a good deal? One way is to conduct a cost-effectiveness analysis. 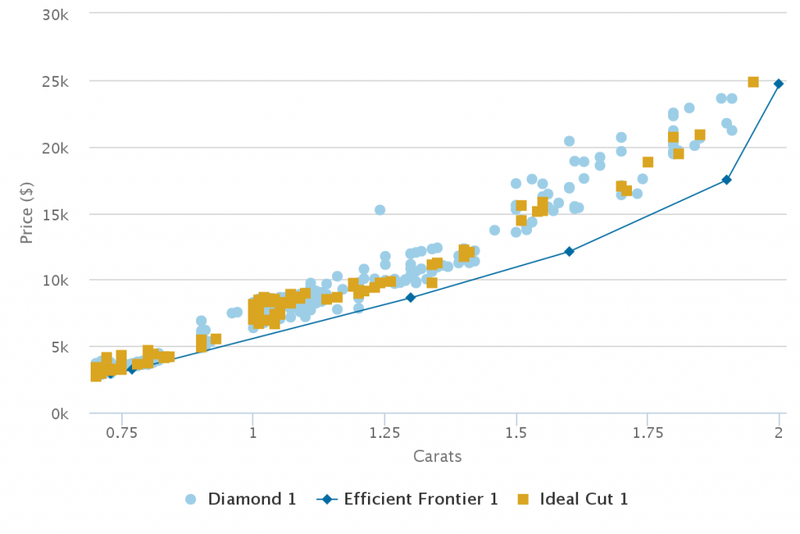 If we graph the diamond price curves, we can apply a concept called the cost-efficiency frontier to identify the economically optimal carat/price points. The closer a diamond is to the cost-efficiency frontier, the better the deal. 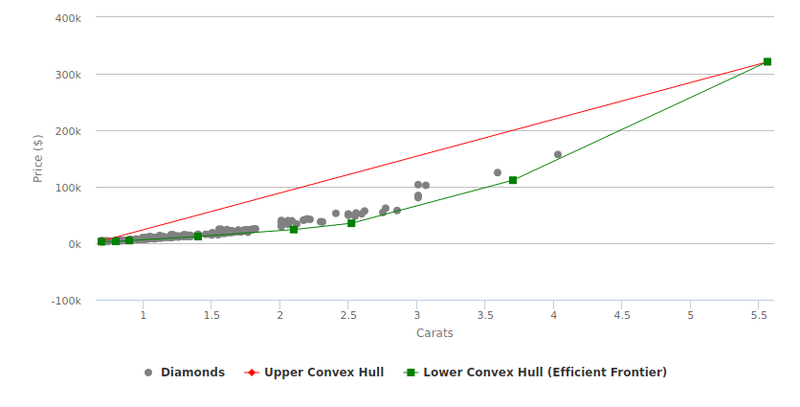 The efficiency frontier is determined by calculating the convex hull of the diamond price curve. Consider the set of diamond prices below. Mathematically, the convex hull is defined as the set of all convex combinations of these points. Intuitively, imagine a rubber band wrapped tightly around all of the points; the shape it creates encloses the convex hull. The subset of points that lie on the convex hull and support the rubber band’s shape can be partitioned into an upper (red) and lower hull (green) that are bounded by the left and right-most points in the plane. In our setup, the lower hull forms the efficiency frontier because any point above it is dominated as described above. These points are the absolute best deals on a cost/carat basis; the closer you are to the line, the better the deal. 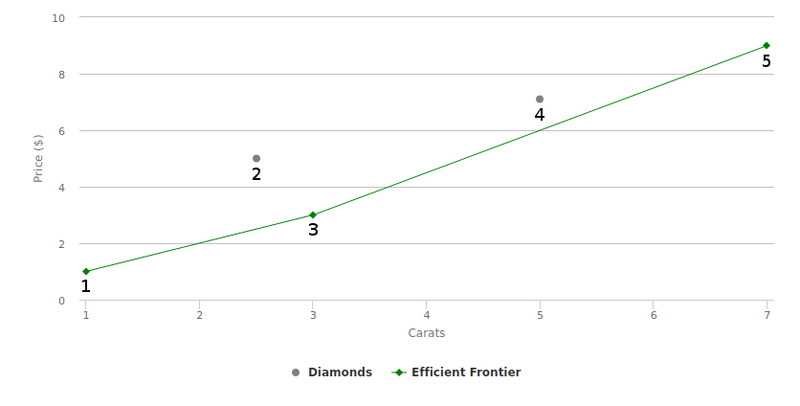 Although diamonds on the frontier are optimal on a cost/carat basis, they may not be eye-clean or have optimal proportions. In the diamond price curves, I’ve highlighted the round diamonds with the best proportions (table size, crown angle, pavilion angle) that are cut for the shiniest light performance. The goal is to find a diamond that catches your eye as close to the frontier as possible. I hope my tool saves you time and money in the diamond search process!